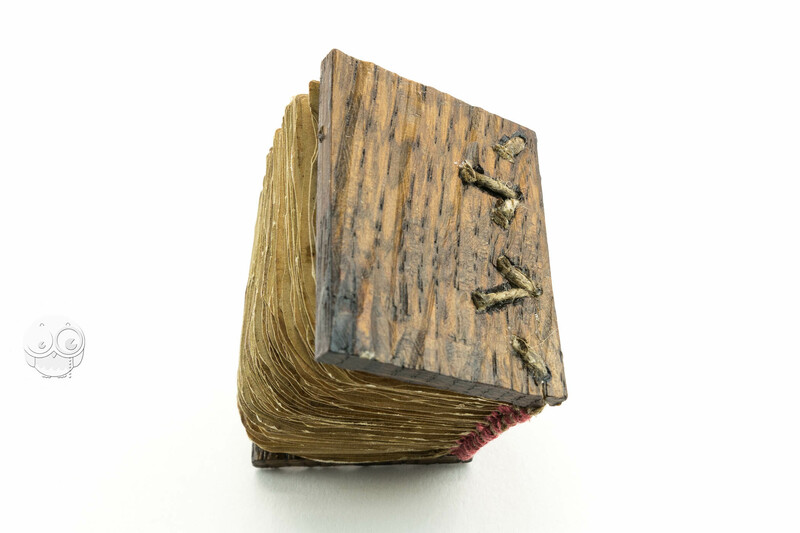 The craftsmanship of medieval book-makers could be remarkable. 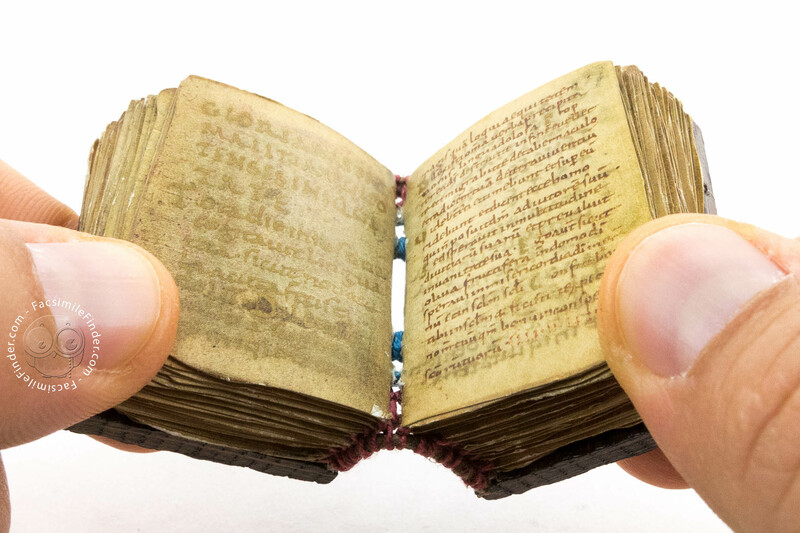 This manuscript containing the Psalms shows the ability of its makers in producing an extremely small book. 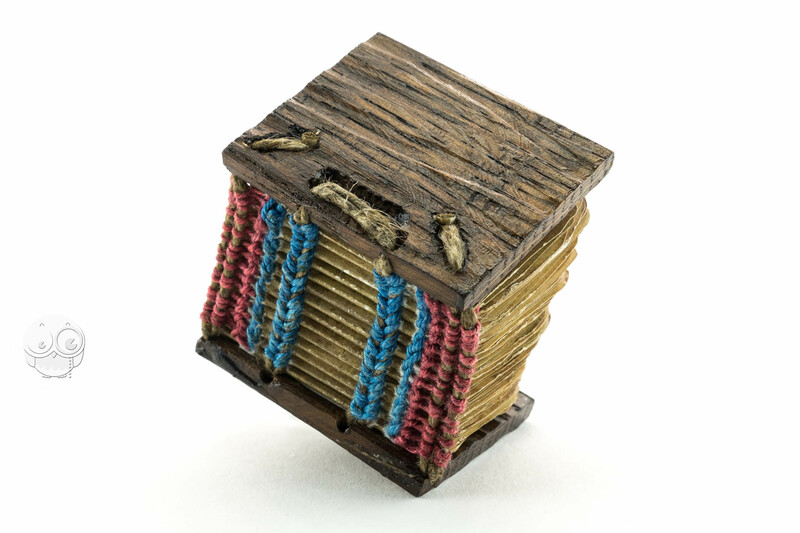 The texts and the miniatures are of such reduced size that one needs to look very closely in order to read the text and look at the pictures. The pages only measure 37 x 31 mm. An extraordinary manuscript for its size and antiquity, the Psalter, preserved in the Archiv von St. Peter in Salzburg, is a rare Carolingian example of illuminated manuscript. The codex was most likely produced in the third quarter of the ninth century in France. The opening page of the codex bears a note of possession that describes the manuscript as belonging to the bishop Rupert. The inscription was added in the fifteenth century and it testifies that the codex was already property of the monastery of St. Peter in Salzburg, as the note links the manuscript to the monastery’s founder St. Rupert. No further connection, however, exists between the book and St. Rupert. 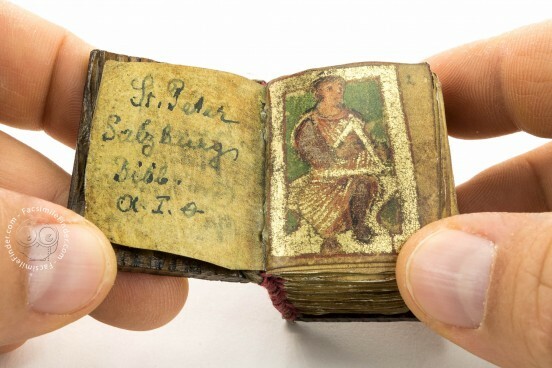 The psalter contains a full-page miniature portraying King David with his psaltery, a stringed instrument that traditionally accompanied the Psalms. The portrait follows the Late Antique tradition of adding the image of the author to the text, thus testifying the authenticity of the Psalms. The main sections of the Psalms (Ps. 1, 51 and 101) are written in gold against a crimson ground. 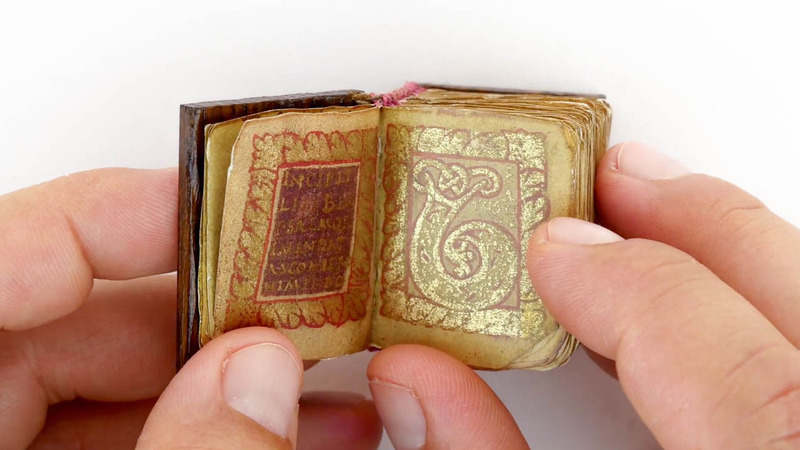 The body of the text is written in an elegant and clearly legible Caroline minuscule. 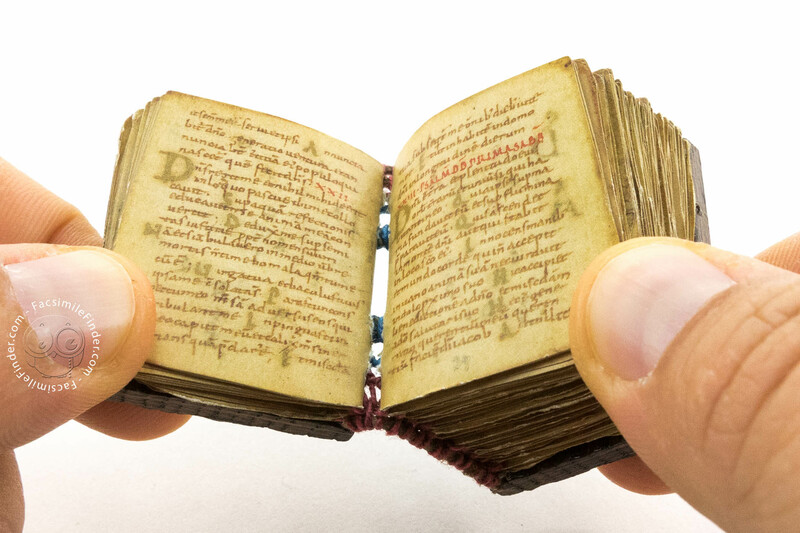 As it is common in Carolingian manuscript, the Psalter contains prefatory materials. The manuscript contains two prefaces, one composed by Jerome and a Prologue Origo Prophethiae, which explains the sources of the Psalms. The small codex was made to be used as several signs of handling suggest the frequent usage of the codex. 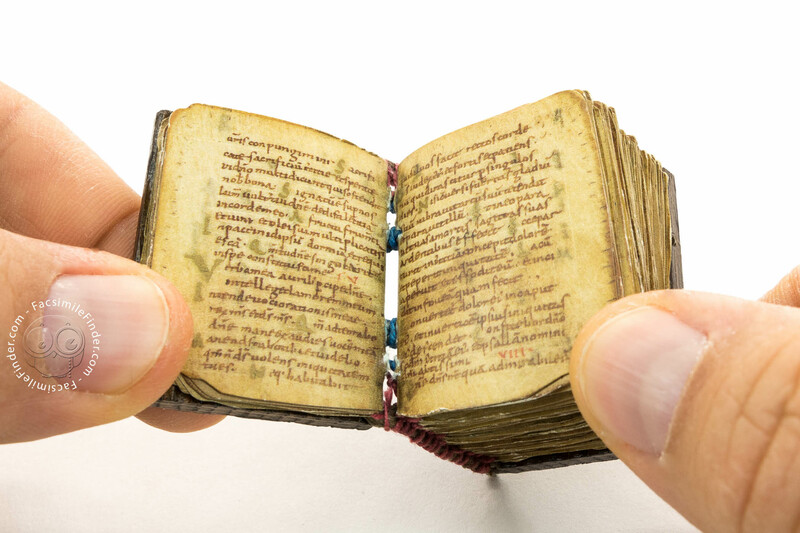 It is possible that the limited size of the book allowed the owner to carry the manuscript with him. 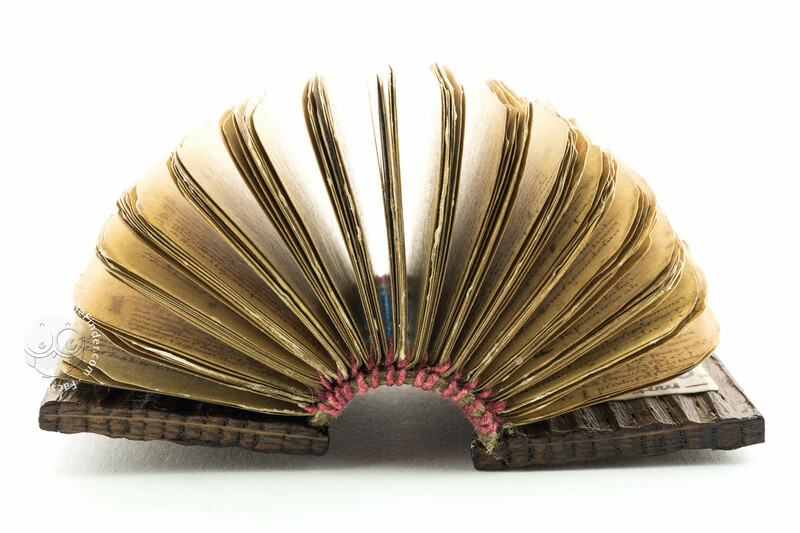 A remarkable characteristic of this codex is the book spine. The booklet seams and two headbands of the spine are visible and allow modern viewers to appreciate the complex construction of the binding. The rare covers of this codex were made in the late Middle Ages. 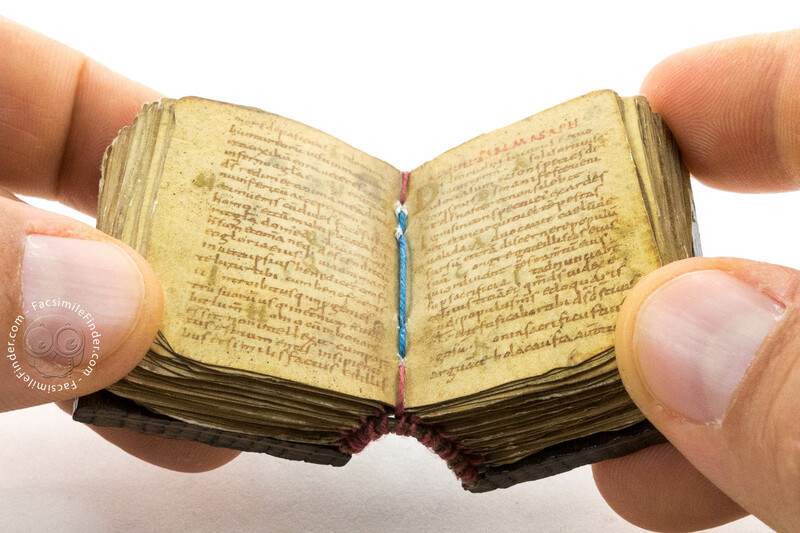 The antique age of this binding with the visible spine makes this codex an extremely interesting exemplar for understanding the medieval production of manuscripts. Manuscript book on parchment − 3.7 × 3.1 cm − 234 pp. 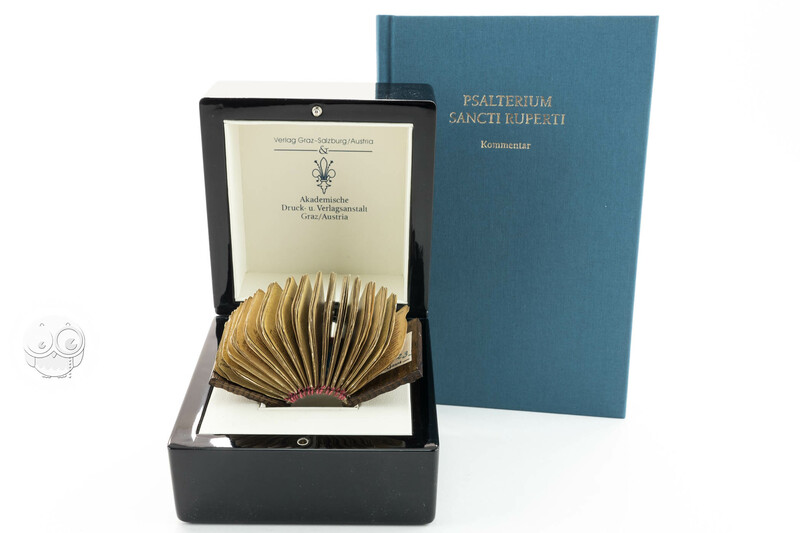 Das Psalterium Sancti Ruperti (Normal Edition) by Adeva. Full-size color reproduction of the entire original document, Psalterium Sancti Ruperti: the facsimile attempts to replicate the look-and-feel and physical features of the original document; pages are trimmed according to the original format; the binding might not be consistent with the current document binding. 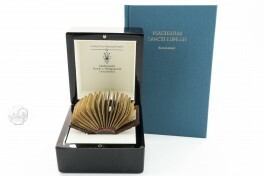 Das Psalterium Sancti Ruperti (Luxury Edition) by Adeva. 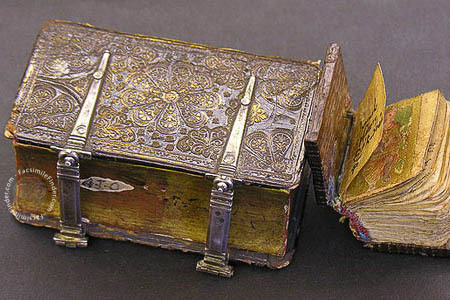 Cassette in form of a book, gold embossed leather; gild edging; padded with velvet, two silver clasps.